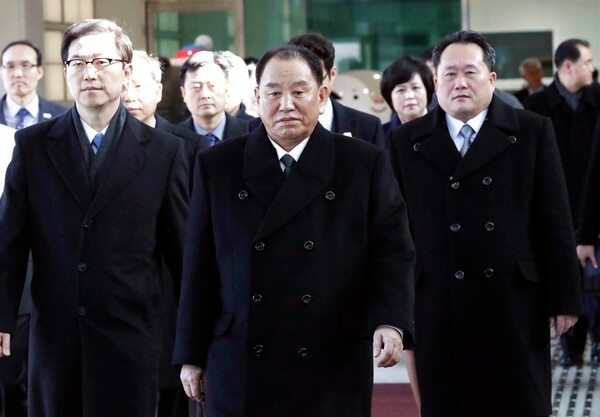 PYEONGCHANG, South Korea — A North Korean envoy making a rare visit to South Korea said Sunday that his country was willing to open talks with the United States, a rare step toward diplomacy between enemies after a year of North Korean missile and nuclear tests and direct threats of war from both Pyongyang and Washington. 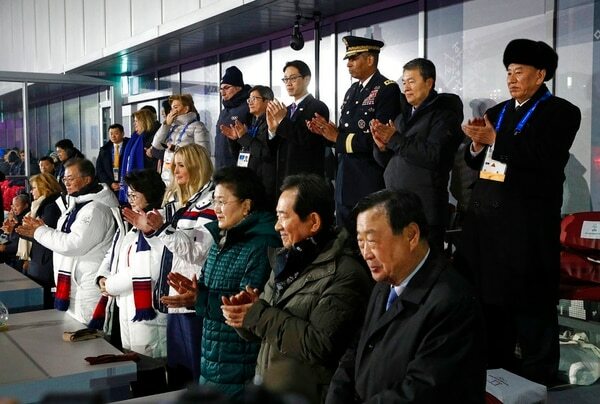 Kim later sat in the VIP box at Olympic Stadium in Pyeongchang for the Olympic closing ceremonies, just feet away from Donald Trump’s daughter, Ivanka, and the top U.S. military commander on the peninsula, Gen. Vincent Brooks. The former anti-Seoul military intelligence chief watched K-pop divas and fireworks and stood for the South Korean national anthem. 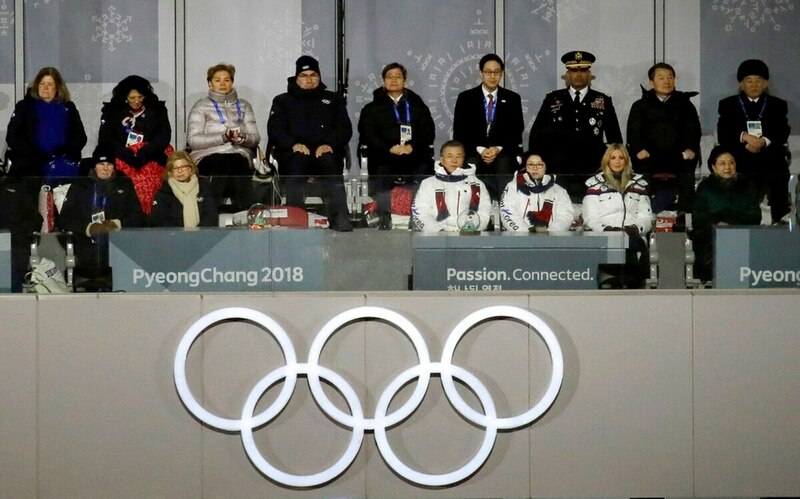 Kim Jong Un’s sister, Kim Yo Jong, attended the opening ceremony in an historic first — no member of the ruling Kim family had ever traveled to the South before. She invited President Moon Jae-in to a summit with her brother in Pyongyang. The delegation to the closing ceremony was expected to follow up on that invitation while in South Korea. Outside Olympic Stadium, just before the ceremony, more than 200 anti-Pyongyang protesters waved South Korean and U.S. flags, banged drums and held signs saying “Killer Kim Yong Chol go to hell.” They denounced the South Korean government’s decision to allow the visit. At the opening ceremony earlier this month, Kim Yo Jong sat in the same VIP box with Moon and U.S. Vice President Mike Pence, creating some awkward moments. Though Pence stood to cheer the entrance of the U.S. team, he remained seated when the athletes from North and South Korea marched together behind a “unification” flag, leaving Moon to instinctively turn around and shake Kim’s sister’s hand. Associated Press Seoul Bureau Chief Foster Klug and Pyongyang Bureau Chief Eric Talmadge contributed to this report.